If you wish to make a bank payment, you pay using the E-Payment Code that you will find in the email that you will receive as soon as your order is complete. During your deposit to the bank of your choice use the E-Payment Code and choose "Papaki T.L.D.”, "Papaki” or "Usableweb". In order to pay with a bank payment you only need the E-Payment Code provided to you. You do not need Papaki's bank accounts or to provide a payment reason. However, you do need to have a personal bank account at the bank that you choose to make your payment. 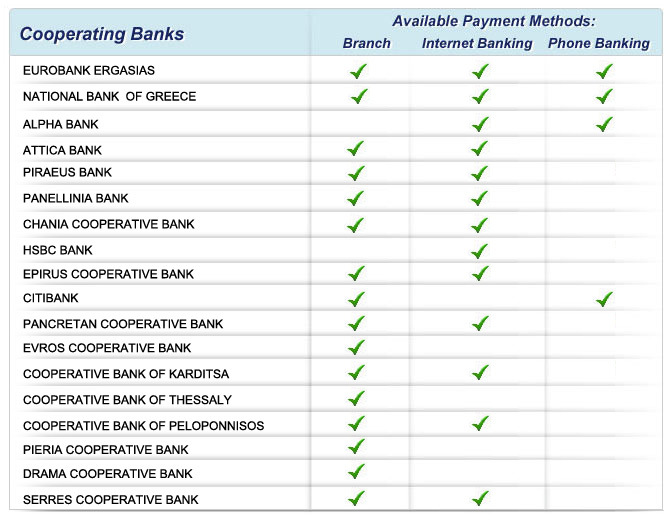 In the following table you can find all available payment methods for each bank. What does it mean when my order is awaiting verification? How do I buy Papaki credits with Bitcoin?